As a fascinating concept of science fiction, the thought of sentient machines dates back to 1872 with Samuel Butler and his novel Erewhon, and arguably even before that. These novels contemplated on the subject, benefit and dangers from intelligent robots. Modern technology now provides us with more processing power in our pocket (smartphone or a tablet) than what the super-computers of the 80s had to offer. While we are living in times when different devices are called smart or intelligent, still we are far from what science fiction novels depicted, and scientists would note that current general use robots do not possess intelligence higher than a cockroach. However, it is true that we are at the beginning of the artificial intelligence era. Recently the machine learning or “deep learning” industry had accomplished amazing progress by scientists using neural networks which mimic the working pattern of an organic neuron. Direct effects of the breakthroughs in AI can be seen in facial recognition and automated driving technologies, though these can be considered rudimentary and the true goal of a commercial AI is to provide the next big revolution in machine intelligence that let computers perform tasks that, until recently, could be done only by people, including engineering and art. What can be considered artificial intelligence? Academically, the scientists have been working on the problem of AI since 1956 with research into reasoning, knowledge representation, planning, learning, natural language processing, perception and the ability to manipulate objects. To achieve this, the scientists in the AI field need to draw upon multidisciplinary knowledge ranging from computer science, mathematics, psychology, linguistics, philosophy, and many others. The AI research field has been founded on the presumption that the working of the human brain can be described so precisely, that an artificial machine would be able to simulate it. The ultimate goal of this research would be an Artificial General Intelligence (AGI) – a machine that would be able to perform any intellectual task that a human being can. With different approaches to AI research, scientists have differentiated reference to “strong AI” or machines capable of experiencing consciousness, and “weak AI” or applied AI which is the reference to a kind of problem-solving AI aimed at specific tasks, and without the full range of human cognitive abilities. The main benefit from the use of AI in any industry is the increased profitability for companies. Hazardous jobs will be conveyed to robots, though because of their limited cognition they may be called drones. Home robots could be used for the elder care and their improved well-being. Ultimately, Artificial Intelligence will be able to come up with solutions to the world biggest problems, such as climate change. It may not be possible to predict what will come after the making of a artificial general intelligence (AGI) so the point in time when this happens is called the technological singularity. Raymond Kurzweil, a futurist, computer scientist and one of the leading transhumanist of our time has described this in his book “The Singularity Is Near: When Humans Transcend Biology”. There he predicts that machine intelligence will become infinitely more powerful than all human intelligence combined. This intelligence will spread until it saturates the universe. It also predicts this as the point at which machines intelligence and humans would merge. The dangerous and undesirable effects of the AI use in the short-term have to be considered. It is expected that the introduction of AI to different industries will have a severe economic effect just as previous industrial revolutions have had. Even more alarming is the notion that the AI could evolve to the point where humans can not control it, at which point we may face an existential risk from artificial general intelligence. Physicist Stephen Hawking, Microsoft founder Bill Gates, and SpaceX founder Elon Musk have all expressed this kind of concerns. The record progress of the AI industry has been driven by the high amount of investment from the tech world who are looking for commercial solutions, while there are smaller research centers focusing on specific elements and pushing into further progress with the help of world-class scientists. Microsoft is one of the big investors, with their AI platform that uses a set of API for speech, language and vision combined in the process. For many of us, the main visible benefit from these investments currently are the Cortana assistant and features integrated into Microsoft Windows and other products. Microsoft Research is known for gaining significant ground in the Deep Learning field. Facebook is another tech giant known for utilizing AI technology in their endeavors. It has taken been recognized for taking an open, community-based approach to research by launching the Facebook Artificial Intelligence Research (FAIR) group, helping to further the way for development. Their current known AI projects are Alice and Bob, aimed at human interaction are notable that they communicated with each other and gained knowledge without the researchers noticing. After the two AI started communicating with their own created language that was more formidable than the human language they had to be shut down. This event inspired the imagination of many. IBM is one of the leading companies in the AI field. Their cognitive technology deep learning has recently made several breakthroughs for speed and accuracy, surpassing the competition. They are well known for their Watson assistant chatbot designed to answer questions for customers. Commercially it is a very popular area as companies can make significant gains by automating their customer service. Google has dedicated a whole division to artificial intelligence research with Google.AI and their most notable current project is the cloud-based service tensor processing units that can be used to develop machine learning software. The TensorFlow Research Cloud can give researchers a free cluster of one thousand cloud TPUs to perform machine learning research on, under the condition that the research is open source and they put their findings and publish it in a peer-reviewed scientific journal. OpenAI is a good example of high-quality research. This non-profit research group consists of some of the best experts in the field, including Ilya Sutskever deep learning scientist. Their overall contributions to the progress in the field are substantial even though they lack huge monetary investments. 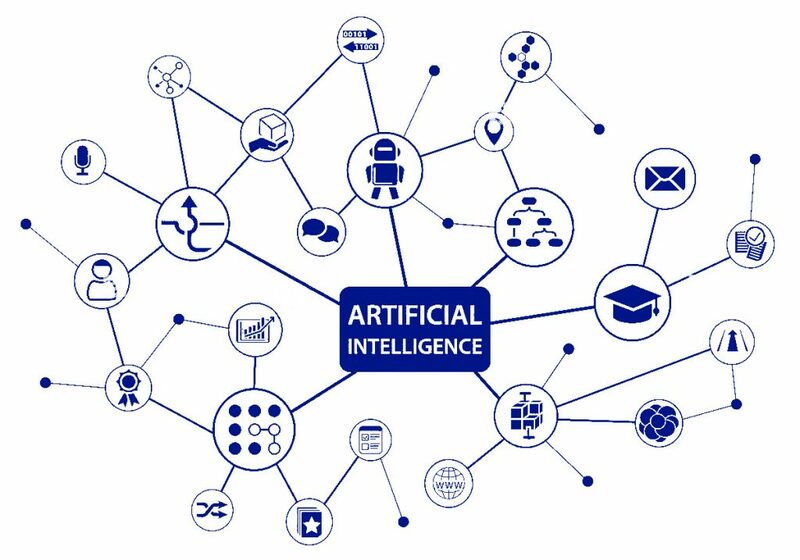 Apple involvement in the AI fields is aimed at enhancing the abilities of their developers so that they can make better use of the current technology and develop new ones. Some of us may note the current Apple products that boast “AI” components with the Apple Neural Engine. It is expected that Apple will enter the AI assistant competition with Microsoft and others. Salesforce is the company behind Einstein artificial intelligence, geared toward financial advisers and providing them with forecasts that can be used to benefit business processes. The AI themselves can hold a significantly larger sum of data than a human can and have a more transparent overview, bringing crucial data that is pertinent to the current state of the business. Amazon is known for offering cloud services, but their released Alexa AI within the Amazon Echo device is more notable. Their significant cloud resources are used to power their AI platform, while it is known they too are invested in deep learning. Now they offer deep learning tools that can be used for training and teaching AI platforms. Artificial intelligence has the potential to transform the world and with it, our all jobs of future will be automated and will have some impact on our everyday lives. We can acknowledge that we are trying to build something great, though the scientists must continue optimizing the AI functionality while minimizing possible security risks that come along with new technologies. Next Post:What is the best and the cheapest registrar for a .press domain?